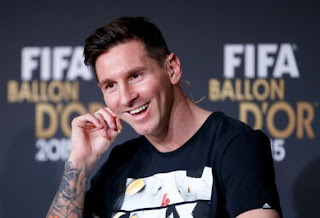 Barcelona superstar, Lionel Messi, was busy spending time on his Instagram page, as Luka Modric was announced the winner of this year’s Ballon d’Or award. Messi and his rival Cristiano Ronaldo failed to attend the gala in Paris, after being informed they would not win. It is the first time in 10 years that neither player will take home the individual honour. Juventus star Ronaldo came closer than his counterpart to keeping the tradition going, finishing second. But he was still some way off denying Modric of his deserved award, receiving 476 points to the Croatian’s 753.